"It may be most accurate to fault the deep bias rooted in American society." Rachel Monahan's story about congestion pricing focuses on "global warming," but that's a sideshow ["All Tolled," WW, July 18, 2018]. The best reason to replace the gas tax with electronic tolling on highways is to improve traffic flow to the optimal level of roughly 33 vehicles per lane per minute, which implies driving speeds of 40 to 45 mph. This would maximize the economic benefits of existing lanes prior to building new ones. Cascade Policy Institute has conducted manual counts of traffic on I-205 at the afternoon peak and found that traffic volumes vary but are low everywhere. Traffic flows best on the Glenn Jackson Bridge, at 29 vehicles per lane per hour on the four northbound lanes; but throughput drops to 20 at Holgate Boulevard and 16 at Clackamas Town Center. If peak-hour tolls were imposed on the length of I-205, some discretionary trips would be "tolled off," but speeds would increase and more vehicles could enter the system. Since traffic is a nonlinear function, it only takes a slight reduction in the number of vehicles to have a large increase in traffic speed. The concept now in front of the Oregon Transportation Commission is for partial pricing on I-5 and tolling on one I-205 bridge in Oregon City. I don't understand the rationale for such a meek proposal. I've suggested that we treat this as an experiment, whereby we toll all of I-205 (call it the "treatment group"), while leaving I-5 untolled (the "control group"). Real data from the two competing systems would answer a lot of questions. 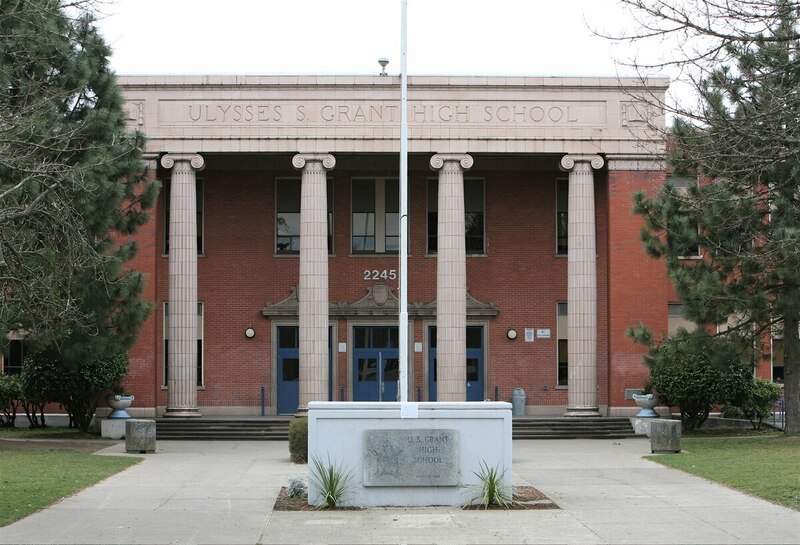 In your most recent "Best of Portland" issue [WW, July 11, 2018], you labeled Grant and Lincoln high schools as the "Best Constitutional Scholars." As they have consistently made nationals, I can see how this would be a reasonable title to award them. However, as a public high school student enrolled at Franklin and a member of the constitutional law team, I know firsthand that inclusivity does not result in lacking constitutional scholars. Let me explain: Both Grant and Lincoln have a selective process for the team in which students apply and not all get in. Franklin allows all interested students to join. By either conscious choice or, more probable, privilege, the students who tend to make up the Grant and Lincoln teams are a combination of white and wealthy, and have access to stronger educational programs. Of course, students who are at a predisposition to succeed are more likely to make the team, granting them more efficient pathways to affluence and leaving less fortunate (but still interested) students behind. This is to say nothing against the students on the Grant or Lincoln teams, or perhaps even the coaches; it may be most accurate to fault the deep bias rooted in American society. Regardless of this, winning does not necessarily affirm students as the "best constitutional scholars." It is important to consider all of the factors that go into a gold medal—not just what lies on the surface.